Here’s the current chapter of “Kanojo ni Naru Hi”. Please remember that “Kanojo ni Naru Hi” and “Kanojo ni Naru Hi — Another” are bi-monthly series on alternating schedules. “Kanojo ni Naru Hi — Another” comes off of hiatus in Lala DX 9. We’ll start working on it as soon as Lala DX 9 arrives here in mid-August. Just a warning about this chapter, though you may feel the urge to, please restrain yourself from punching your screen whenever a certain character opens his stupid mouth. I just noticed that Mamiya’s got some lady-plumber crack going on. Anyhow, here’s the release. I wrote my thoughts on the chapter on the Lovely Manga Blog (LINK). 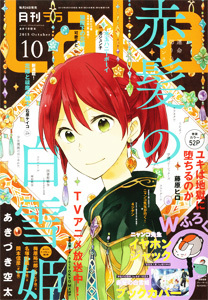 Next up is “Sabaku no Harem” Chapter 8 followed by a frequently requested oneshot called “One-Day Idol”. Please look forward to them both.